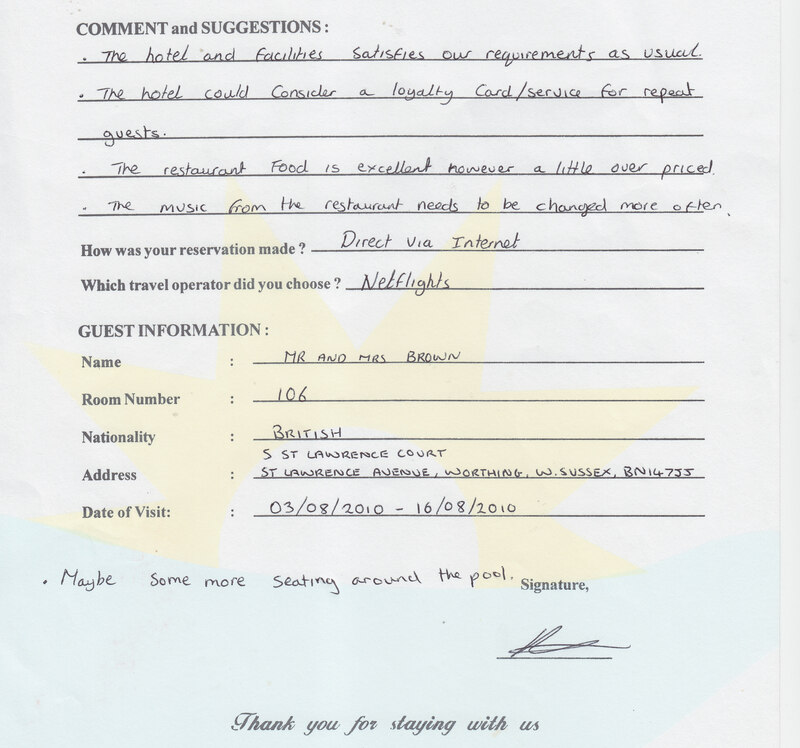 We stayed at the Mentari Sanur in August 2010 and found it be a superb hotel for the price. A beautiful, quiet location near enough to the beach and amenities but slightly away from the main drag, we often just stayed by the pool all day and went out in the evening. The staff are fantastically helpful and full of smiles, and will go out of their way to help you or just have a chat. The hotel is within easy travelling distance of areas like Ubud, Kintamani, Tanah Lot etc. We suggest booking a bike tour of Ubud and its surrounds with Banyan Tree Bike Tours – run by Bagi. We have been to Bali many times but this stands out as the best way to see some of the ‘real’ Bali, small villages, rice paddies etc. 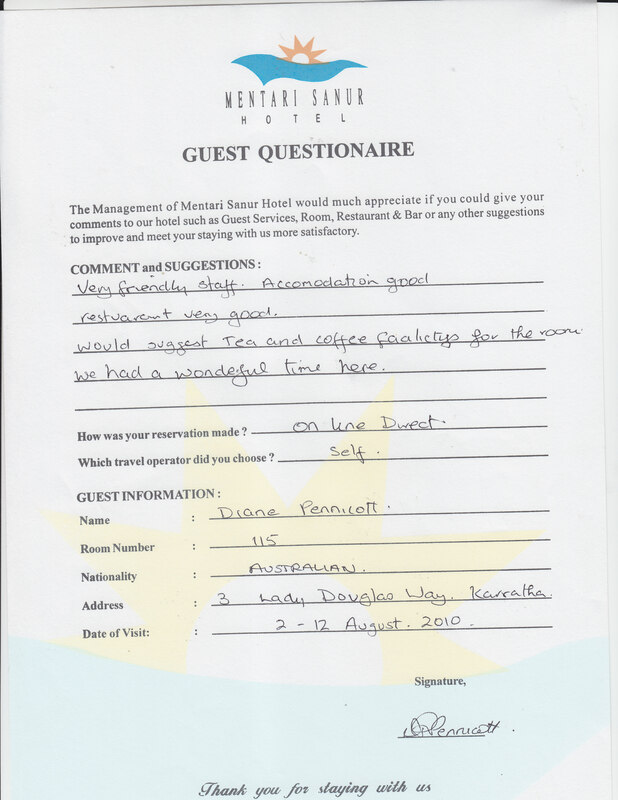 For the cost of the rooms (£35 when we booked online) I believe this level of service is exceptional. The food in the restaurant is also reasonably priced and of high quality. 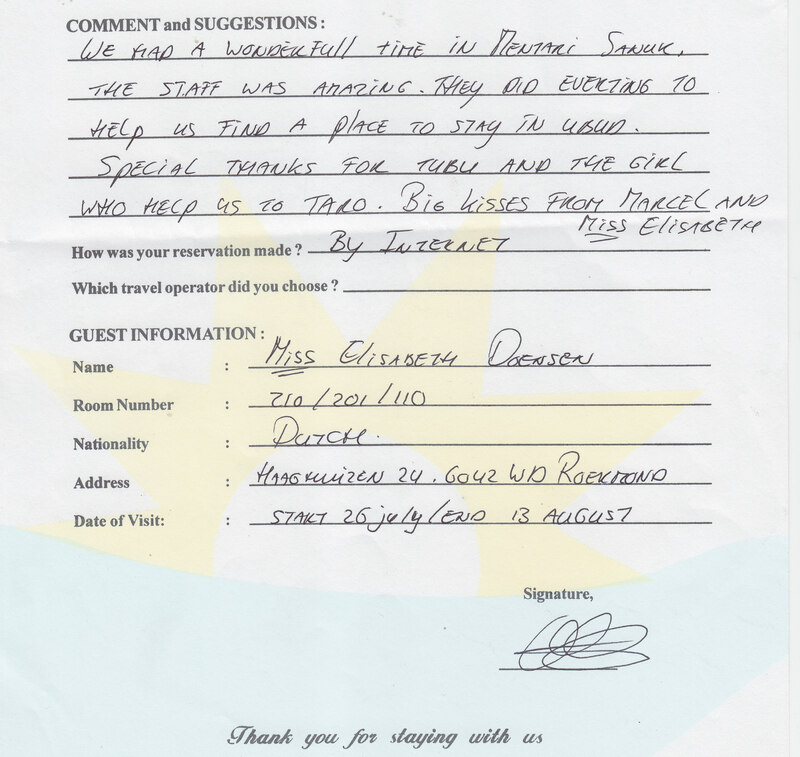 We would not hesitate to recommend this hotel to others. Friendly staff, nice pool (and cocktails) and try the mentari club sandwich! It was located in a bit of a back street alley which at night was not so nice. But because of that, it was also very peace full and no noise disturbance what so ever. We really enjoyed our stay at the hotel. Rooms are comfortable and they all have a balcony with chairs that are very handy when you want to sit outdoors but don’t want to go to the common area. The swimming pool has a good size and is very quiet. A perfect place to relax and it’s not far from your room. The location is not convenient if you like spending time at the beach. It’s quite far from the best beach areas. We stayed in Sanur for 2 nights at the end of our family Bali adventure, having stayed in Legian and Ubud. The hotel is good value, apart from $US30 surcharge for an extra bed inroom, which is the most expensive we have been charged. 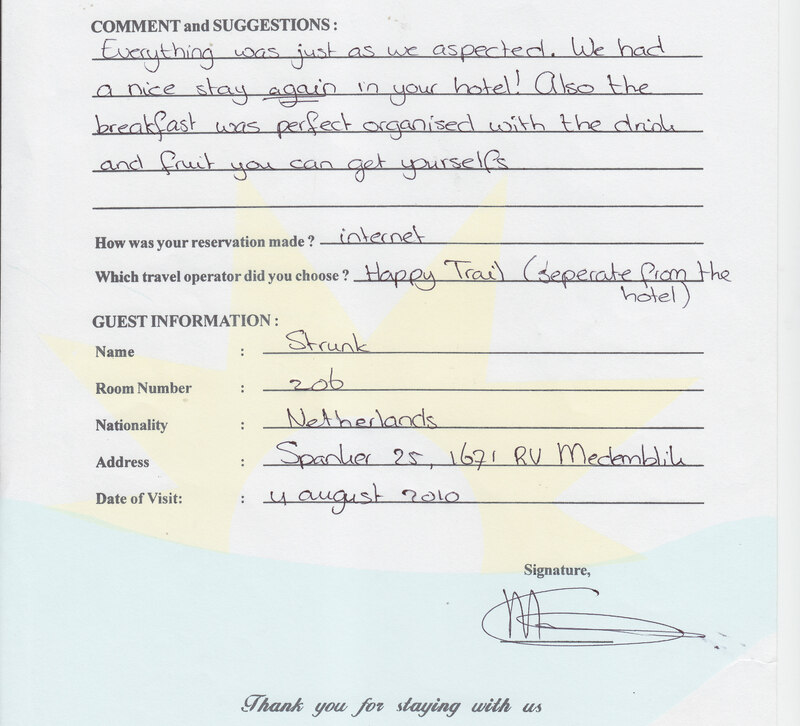 Otherwise the place was clean, quiet, rooms good size, pool excellent, breakfast and meals in restaurant excellent, service also very good. I guess the only real negative is location, as it is in the northern extremity of Sanur, so quite a way from the main areas with restaurants and shops. The beach, is however only a short 400m walk away and a lot of the the boats to the islands leave here. Hidden down a small road is a hidden oasis. The hotel meets our holiday requirements with clean, spacious rooms with good facilities. The staff are professional and helpful. The food at the restaurant is delicious, however a little pricey. There is a great swimming pool suitable for all ages. We have stayed at Mentari hotel 7 times now and will continue to stay there. Great value for money.